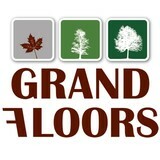 Whether it is hardwood flooring, engineered hardwood, laminate flooring, vinyl plank and vinyl tiles...stairs, trim or moulding, Grand Floors knows how valuable it is to provide our customers with a full flooring and service package, customized to their specific needs. Our passion resides in transforming our customer’s vision into reality at an affordable price by providing a wide assortment of products for both the residential & commercial market. We also resend and refinish existing flooring and stairs, with custom colour matching. We use water-based eco friendly stain and finishing products. 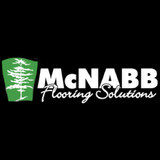 With 31 years in business and serving over 15,000 customers in Simcoe County, we’ve been fuelling our passion by educating our customers and supporting quality domestic flooring products since day one in Canada. Welcome to TFC Flooring Inc. We will help you find the flooring and stairs that best matches your taste, lifestyle and budget. We offer different stain colours that can be applied to raise the natural grain of the wood and compliment other wood furnishings and decor ideas within the home. Also we make custom stain that could match the stain colour you have. 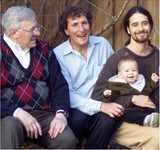 We are a 4th generation family owned and operated since 1940. Darmaga has evolved into one of the largest hardwood flooring companies in Ontario. The Darmaga family have been satisfying the needs of private homeowners and builders for over 75 years. Darmaga Hardwood Flooring specializes in sales and installation of hardwood floors, engineered, laminate and hand scraped flooring in Richmond Hill, Greater Toronto Area and beyond. The Darmaga difference is exceptional service, technical expertise and knowledgeable staff for all your flooring needs. We may not always have the lowest price but we can guarantee you the best value! We gain and keep great installers and happy employees who will serve you the best way possible.. We believe in delivering the very best quality and customer care for our valued clients. We carry only brand name products that carry a full manufacturer’s warranty & aftermarket service if needed. We are in partnership with our suppliers, and carry that philosophy through to our relationship with our customers. If it is a custom floor you want…just ask! 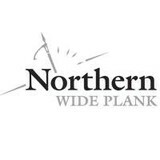 Visit our showroom to see and feel a large selection of hardwood flooring options. 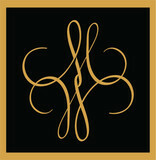 To book an onsite consultation, feel free to call or send us a message through the "Contact Me" button on our profile. Toronto hardwood, laminate, carpet and tiles store. We sell a flooring materials for a newly renovated home or replacing one in an existing floors, your first step is to pick the appropriate flooring type. As a professional flooring materials retailer we provide good advise, good deal and financing on any choice made by you within Chestnut Flooring store. What kinds of services do hardwood flooring installation professionals in Lefroy, ON provide? Find hardwood floor experts in Lefroy, ON on Houzz. Search the Professionals section for Lefroy, ON hardwood flooring installers and dealers or browse Lefroy, ON photos of completed installations and look for the professional’s contact information.